It’s that time of year folks…spring is here! Yes...I Need A Quote Now! It’s that time of year folks…spring is here! So is our new apparel line for all your spring time events. From golf outings, company cookouts, 5k, Fun Runs, family reunions and just about any other business or life event we have you covered. This is also a great time of year for a fresh look for your business. Whether your employees are working out doors or working on the production line, build that team spirit and get recognized with personalized tees, polos or other work wear sporting your customized company logo! Take a look around the site and let the fresh spring fashion get you in the creative mood. Send us an email for a free quote and get your new look on for spring 2015! Need to reach us quickly? Need to view a garment? 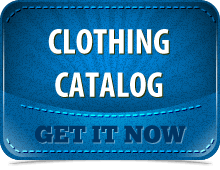 Click the icon to view a catalog. 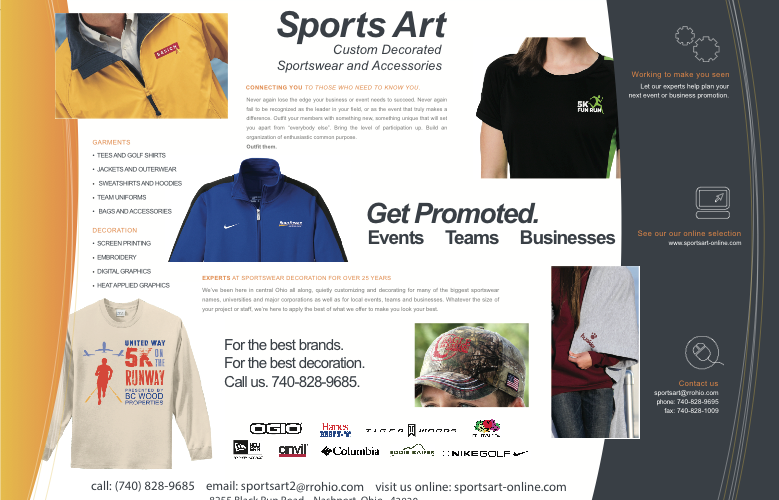 Copyright © 2019 · Sports Art is a supplier member of ASI, number 88804. · References are available upon request.